Search Homes Right Now. Use the search tool to browse the wide variety of single-family homes, townhouses, brownstones, lofts and condominiums on the Philly real estate market. Register for the Home Finder and let your dream home come to you! Members can also create saved searches, collect their favorites and sign up for instant email alerts when new homes that fit their criteria come on the market. Learn About Philadelphia and the great neighborhoods that make up Center City. Use the Mortgage Calculator to figure out what your mortgage payments will be on the Philly home you want. Connect to a Professional. Contact us anytime you need to know more about Philadelphia homes or any property that interests you. When you are ready to take the next step, we are here to help. 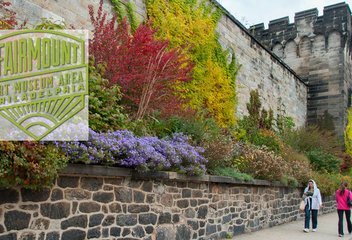 Resting just beyond Benjamin Franklin Parkway, home to Philly’s truly world-class museums, Fairmount is synonymous with fine art — but it’s far from the only draw of Center City’s effusive northern neighbor. 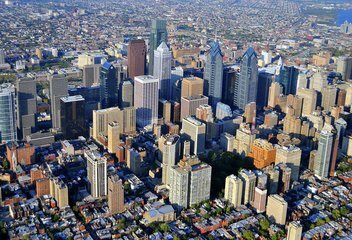 “Center City” is what Philadelphians call their downtown - the historic city core that dates to its 1682 founding. With the third-highest residential population of any U.S. central business district, Center city is not a neighborhood but a collection of neighborhoods that range from tony Rittenhouse Square and Society Hill to immigrant gateway Chinatown, with just about everything in between. What do you want? Great shopping? Enticing dining options? Arts and culture? High-rise luxury? 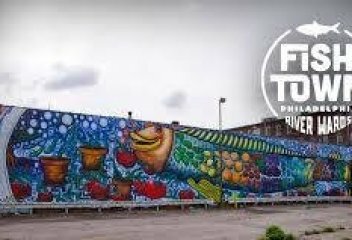 The name "Fishtown" is derived form the area's former role as the center of the shad fishing industry on the Delaware River. Today people of all kinds call this neighborhood home. Known as an emerging center of the arts, entertainment, and dining and hipster vibe. 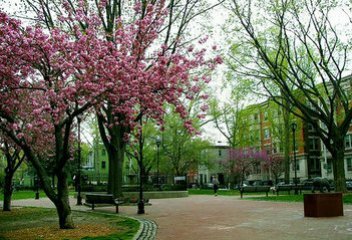 Located five blocks east of the Schuylkill River, this half-acre park lies on the edge of the Center City shopping district, and just a few blocks southwest of Rittenhouse Square. Residents take great pride in living adjacent to the Schuylkill River Park one of the most used parks in Philadelphia. Food lover's dream. True to the neighborhood's roots, which stretch back to the late 1800s, most of the stores here are Italian but you'll also find Latin American, Vietnamese, Korean, Chinese and Mexican foods here. chef's paradise. The growing diversity of the market is a direct reflection of the growing diversity of the community itself. 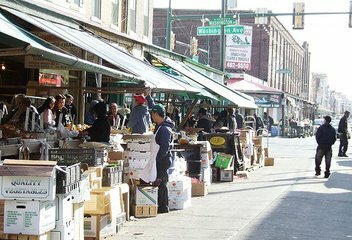 Northern Liberties is a historic and vibrant community north of Center City Philadelphia. 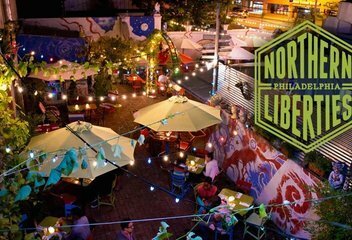 Recently, Norther Liberties has become of the most hip places for nightlife, and dining, and the value of homes is steadily increasing each year. There are also many open areas, and parks. Real estate in here largely consists of converted row homes, high-end lofts and condos. 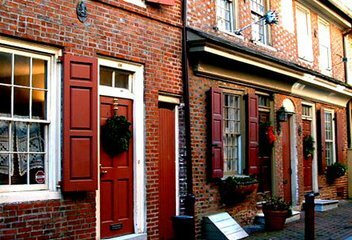 The oldest neighborhood in Philadelphia has always kept up with the times. One of Philadelphia's most sophisticated and laid back communities filled with rehabbed 17th century townhouse & high-ceilinged factory lofts. Buoyed by a strong arts community and a fun bohemian atmosphere, this is a hip area, dense with coffee shops, three performing arts centers, over 50 galleries and 25 museums with an eclectic mix of designer stores, great restaurants and nightclubs. Of all of Philadelphia’s up-and-coming neighborhoods, none has received more buzz recently than Point Breeze. 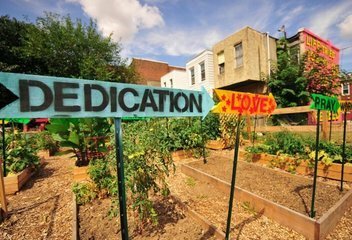 It started in 2016 when RealtyTrac looked at “rough-and-tumble neighborhoods on the rebound” and Point Breeze came in at 5th in the nation. Zillow recently named it Philly’s hottest housing market. Great housing stock, proximity to the central business district, multiple commercial corridors, and easy access to public transportation and highway arteries is why many call this home. 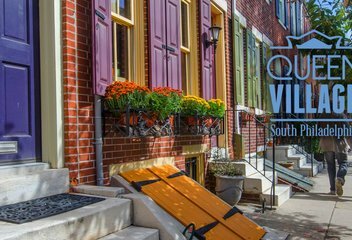 Queen Village is part of old Southwark, Known as Philadelphia's first suburb, which was incorporated into the city in 1856 and is still the city's longest occupied residential neighborhoods. Street boundaries: south side of Lombard Street to the north side of Washington Avenue, Front Street to 6th Street, encompassing two principal commercial corridors, South Street and Fabric Row on 4th Street. Homes in Queen Village are truly historic and quaint. 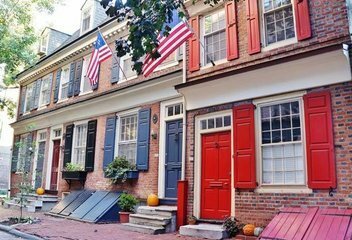 Society Hill real estate appeals to buyers looking for an extremely central urban community that also possesses ample charm, peaceful tree lined narrow cobblestone streets, historic churches and the highest concentration of 18th and 19th century homes in Philadelphia.